How do videos get found online? By assessing discovery, you can plan how to expand a channel’s reach through descriptive metadata and compelling thumbnails. You also may find an opportunity to improve discovery by using playlists, cards, and end screens. How do viewers find content? Knowing how viewers find content can help a channel take steps to boost traffic. Every minute, 400 hours of content are uploaded to YouTube, presenting viewers with many options on what to watch. When planning a strategy to attract viewers, creating great content is obviously key, but there’s more you can do to improve accessibility and discoverability. To determine the sites and YouTube features that viewers use to find content, look at the Traffic sources report (sample below). You can also look at a multi-line graph to see how traffic sources have changed over time and review this against the channel’s promotional strategy. Based on your observations, you can drill deeper into interesting sources of traffic. For example, within YouTube search, you can look at the top 25 keywords that people search for to find your videos, which can help you to optimize video metadata for what viewers are searching for. If the largest traffic source is external, that may present an opportunity for partnering with one of those websites to drive even more traffic to the channel. Also, when you see a large spike or drop in a traffic source, you can investigate the potential cause. If too little traffic is coming from a particular source that’s important to the channel, you can conduct a cost-benefit analysis of using paid promotion. Look at other traffic sources and determine which have longer “average view duration.” There may be an opportunity to drive greater discovery through these sources. Remember to tap into other social media networks to drive traffic. You can start by updating the copy on social profile pages to highlight your YouTube channel, and go further by adding teasers or clips that encourage people to watch recent uploads. Some channels also enable optional tabs or buttons in their social media feeds to link to YouTube. Note how the “Browse features” traffic source (purple) spikes coincide with “Suggested videos” (red). Dig into traffic sources and playback locations to uncover how viewers find your channel. Optimize your discovery with these best practices. Is metadata optimized for discovery? YouTube uses video metadata (titles, tags, and descriptions) to index videos against viewer searches. By optimizing metadata, a channel can maximize its presence in YouTube search, promotion, suggested videos, and ad-serving. For video descriptions, consider prioritizing important information in the first few lines because it’s what viewers will see first. It’s also a good idea to use natural language and search-friendly keywords. Look at “average percentage viewed” per keyword to rank relevancy. For serial content, add the episode number to the end. Include a mix of both general and specific tags. Link to other episodes or related videos and playlists. Do thumbnails attract and keep viewers? One function of video thumbnails is to project a consistent brand image. Thumbnails also play a key role in discovery. Did you know that 90% of the best-performing videos on YouTube have custom thumbnails? You want thumbnails to look compelling, so that people click on them. As with metadata, you also want to carefully consider how the thumbnail tells a story about the video content. To determine how well a thumbnail engages viewers, select a specific video and review its Audience Retention report. Check the first 10-15 seconds of the graph to see if the audience keeps watching or drops off. The gradual slope indicates that viewers are clicking on the thumbnail and sticking around to watch the rest of the video. This suggests that a well-crafted title and thumbnail correctly set viewer expectations for the content. If your report looks similar to this, it means that viewers are dropping off at the beginning of the video, which could indicate that they felt the video didn’t deliver something that the title or thumbnail promised. Study videos with high audience retention to learn how to improve the thumbnails and/or titles for other videos. Consider updating the thumbnails and/or titles of videos that suffer from dips in audience retention at the beginning. Learn best practices for clickable thumbnails. Karen Kavett uses a highly-readable font set in capital letters. The words have a thick white border with a skinny black outline around that, creating maximum contrast to pop against any background. How are playlists, cards, and end screens used? Playlists, cards, and end screens are a great way to drive traffic from one video to another and keep viewers watching by suggesting relevant content. A playlist is an ordered list of videos that a channel creates, often with a specific theme, such as yoga exercises. Cards are pre-formatted signage overlaid on a video to enhance the viewer experience with contextually relevant information. With end screens, you can add up to four elements to promote your content, channel, and websites, during the last 5-20 seconds of a video. To analyze playlists, look at the Playlist metrics in the Watch time report, and access the Compare metric drop-down menu. You may uncover an opportunity to create more playlists or add curated playlists (such as video likes, video collabs, and working with brands). To improve performance, try promoting playlists in links, cards, and end screens. You can typically increase the success of cards by including a verbal call-to-action. For example, when promoting another video, try adding a card at that exact moment. You have a number of options for how to use end screens. For example, you can select to always feature the most recently uploaded video; allow YouTube to select a video from your channel to best suit the viewer; or pick any video or playlist from your channel. You may experiment with these options to find out what yields the best results. Assemble a “Best of” playlist to highlight most watched videos. Make sure cards appear at the relevant time in videos. Learn how to add end screens to videos. 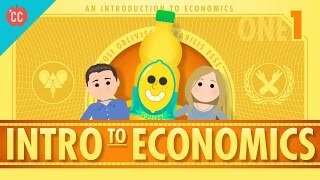 This channel, which specializes in educational content, organizes videos into subject-specific playlists such as Economics, Chemistry, and World History. In this example, cards that link to other videos (red) have the highest card clicks percard shown. This channel has used cards effectively to suggest additional videos to its viewers. End screens are meant to create powerful end-of-video experiences for viewers. Some elements can be expanded or hovered over to provide more information. What is the channel’s global reach? YouTube is available in 76 different languages, covering 95% of the Internet population. Overall, 80% of YouTube’s views are from outside the U.S. You can make it easier for international viewers to find a channel, and improve the viewing experience, with captions, subtitles, and translated metadata. To evaluate a channel’s global reach, first look at the Watch time report, then examine “watch time per country - share by viewers” (sample below). You can measure where views are coming from by country, comparing subscribers and non-subscribers. This data helps you understand how efforts to translate content have paid off. If you plan to add translations to make the channel more accessible for international viewers, you even have the option of asking for community-contributed subtitles and closed captions from viewers. You’ll want to think strategically about where the channel is targeting expansion. For example, a channel that sees a big opportunity in Latin America could localize video metadata in Spanish and Portuguese before pursuing other markets. Channels with very large international audiences typically create multiple channels when they have determined that a specific international segment is engaged enough to sustain a separate channel. Read more techniques to expand a channel’s global reach. Find out how to use the Translations report. Evaluate translated content to increase reach and discovery. Compare the performance of translated content to original language content. You can segment traffic by video info language (language of titles and descriptions) or subtitles/CC language.